AFAB Enterprises offers a variety of electronic sensing devices. 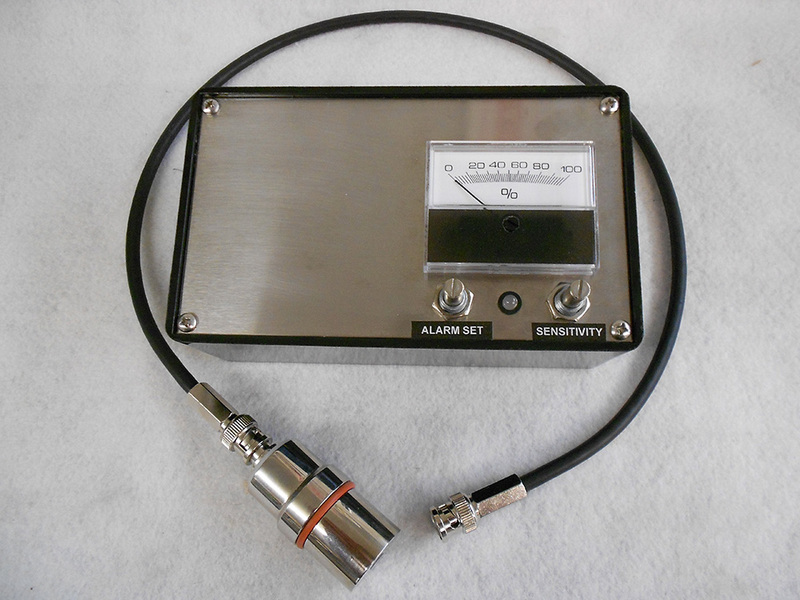 Our ULTRA-VIOLET INTENSITY METERS provide relative irradiance measurements at a low-cost. The RBE and CSL meters feature a remote probe and separate console with an analog meter. 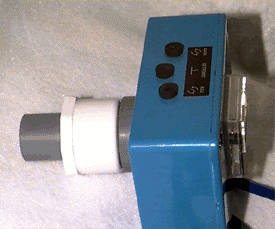 The instrument accurately measures UV output of an ultraviolet light tube. The RBE and CSL meters feature an adjustable setpoint with relay contacts for operating a solenoid valve that will shut off water flow when the output falls below a pre-established and adjustable setpoint. The meters also feature a 4-20ma output that will allow you to monitor the output remotely using your PLC or other input device. 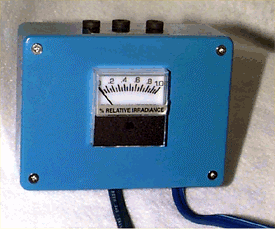 The meters also feature an LED indicator showing relay status. The probe installs in a 1" MNPT spud. The relay contact rating is .5A resistive @ 115VAC. Peak spectral response is 254 N.M. The UVM-2 MiniMeter infers UV measurement by measuring visible light output of an ultraviolet lamp. 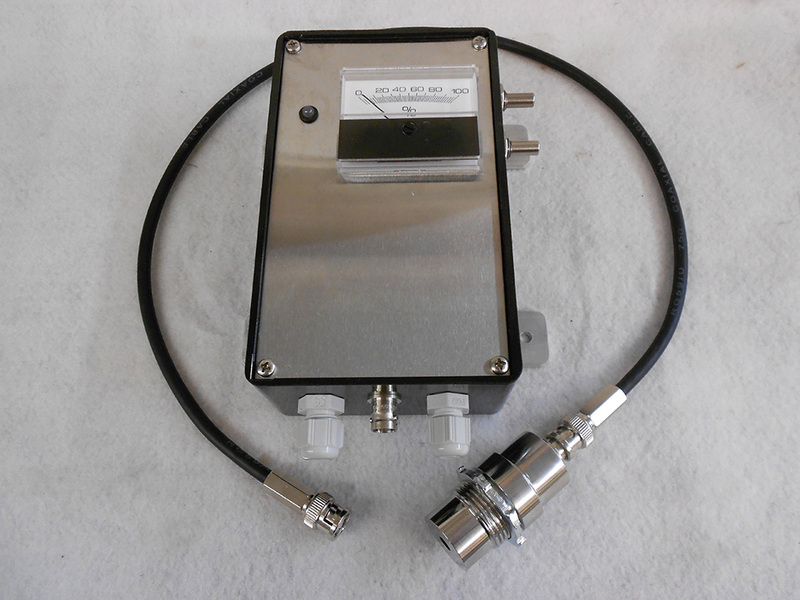 The UVM-2 features an adjustable setpoint with relay contacts for operating a solenoid valve that will shut off water flow when the tube output falls below a pre-established setpoint. This unit is available with or without an audible buzzer which indicates when a setpoint has been exceeded. The UVM-2 features an all-in-one package, with the meter and probe ready for mounting as a single assembly. The UVM-2 installs in a 1" MNPT stainless steel spud.